The Tabernacle is a beautiful venue. The converted former church provided the perfect setting for an artist I knew little about beyond her graceful debut single Heaven. After last night I know a lot more about her now as she bought a real sparkle to a somewhat grey, drab and dreary evening in West London. Given my dearth of knowledge about Emile this concert had the same feeling as opening a new CD, purchased on the strength of the front cover or a feeling (yes, that does still happen) and just hoping it turns out alright. Only difference this time there was a band, a couple hundred people and a singer who bobs and weaves around on stage like Mayweather avoiding a fight with Pacquiao! The set started well, a bouncy number called Lifetime really caught the ear with its mid-tempo joy and carefree lyrics. Emile is clearly talented and as she settled down at kid piano to sing Clown she let’s us know she almost became a doctor, only for her parents to remind her she’s a musician and not to give it up (thought it usually went the other way round). Still, we can all be glad they make sure she persisted because Emile is certainly blessed. Soon followed a song called Break The Law which we’re told she usually strips down. I’m glad she didn’t because what followed was powerful tale which the pulsating backdrop provided by the band bulked out and provided strong character. The highlight of the night was Daddy, her second single and boy can she pick singles. Following the mellow, uplifting Heaven this is its antitheses; dark, powerful and angry with immense sound that captivated the Tabernacle and got the biggest applause of the night. Hope a record she wrote with Alicia Keys was a nice piano by numbers song and provided a suitable filler. The only real downer on the night was the sound of her band drowned her voice on too many occasions. Especially during the big, atmospheric numbers Emile was left fighting and having to scream out her notes – and bob and weave with more urgency (bet she does boxercise). As expected she closed with Heaven, however personally I think the song prior, Mountains would have provided a better close. The sweet song was both beautiful and uplifting, and with a mini sing-a-long it would have been a poignant closing (then come back to sing Heaven as an encore!). 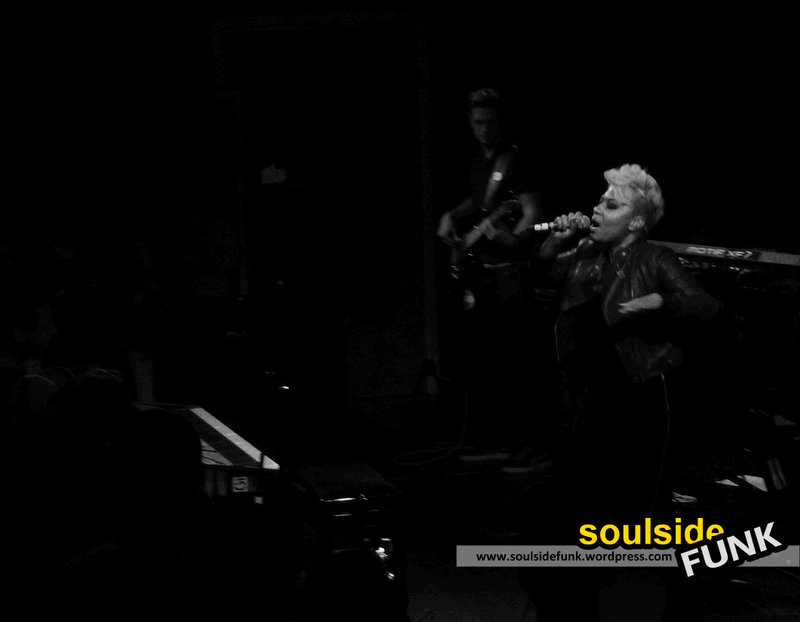 I didn’t know much about Emile Sande heading in… heading out I know that on the strength of this show her album (when its finally released) will be an essential purchase. 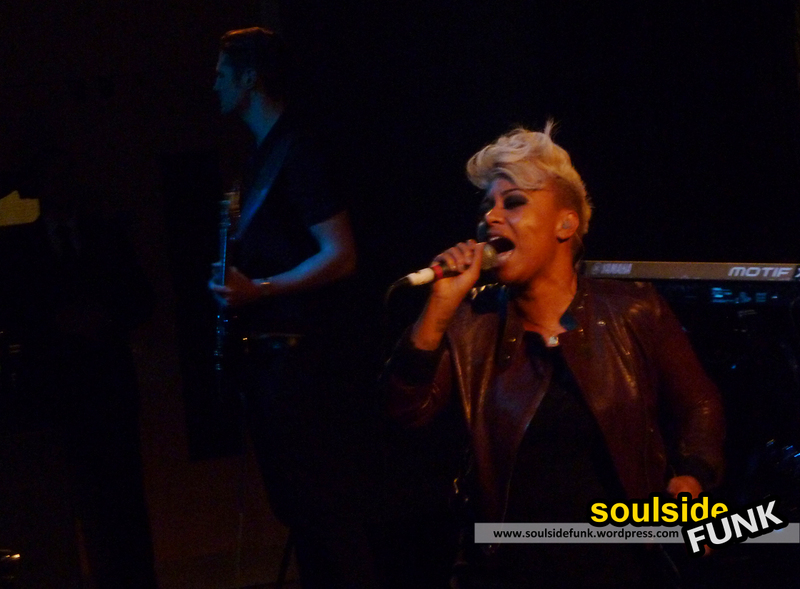 Emile Sande deserves every plaudit she gets and those off to her sold out show at Koko at the end of the month are in for a bit of a treat. 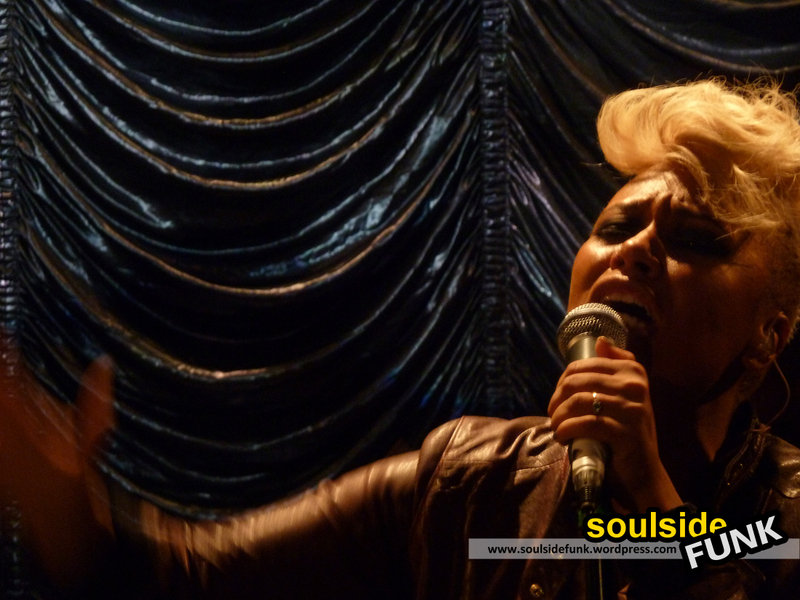 Posted in Gig Photos, Gig ReviewsTagged Concert, Emeli Sande, Gig, Heaven, London, Review, The TabernacleBookmark the permalink.